You want people to become preachers for your business and what better way than to have your customers do your marketing for you and go and get new customers for you. Now of course, we had a recent series on referrals on everything on how to get referrals, and more. This is another version on how to get referrals. Something that we don’t often think about is the reasons for people to refer your new customers or to bring in and look for new customers. Why not encourage your existing customers to do just that? The best way to encourage anyone to do anything is to pay them, or not necessarily in money but in rewards of some sort. Now of course in the perfect world, everyone will do it for love. But, hey, we’re lazy, we got better things to do; so the best way to concentrate our minds is to reward us. I mean us because I’m a customer of people and I don’t mind telling a herd of people to go buy something when there’s something in it for me. Sorry, but that’s the way it goes. I don’t have to have money but I quite often need encouragement. How Can I Get My Customers to Bring in More Customers? That hundred dollars they would normally pay, can increase by a lot. If they bring you a second customer in, you knocked off $25, which means that they would pay you $75. But you’re getting the new customer, so now instead of just $100, you are getting $175. Say that customer refers another new customer. Now, they are down to paying you only $50, but now you have 2 new customers, so now you are up to $250 instead of just $100. If they get all four new customers for you, they will get their fee waived, but now you are getting $400 extra per month instead of just the $100 you were going to get. It makes sense. Now of course, you can continue to pay them so they bring in another four customers. You then give them a hundred dollars a month. That would be described as an affiliate commission but you can do it anyway. You can give them rewards. You can give them points for something else. You can give them a substantial reward towards something else on your side or in your offerings. You can say for every free ______, I will give you ten copies of my book. Just think what can you do. If you are a restaurant, you can give your customers around four cards with your name on it. Then tell them, for everybody that brings in someone with a card with your name on it, we will email you a voucher towards a new meal, a voucher for $20 off your next meal, etc. And of course, they bring in people. You encourage them to get more. And from small seeds, grew huge, huge orchards. Just think of what that can do for your business. Think of ways you can apply it. What you can reward them with. It could be a reward. If you don’t have something substantial to give, how about give them money worth what that new customers worth. Give them some money for something else. Give them movie tickets. Give them a ticket for pizzas, or something that’s easy for them to use. Those little touches count. Think about it. There’s going to be a way it will work for you and this will expand your business. This is one of the secrets to constant growth while you’re asleep; doing what you want to do. Pick your customers growing your business for you. 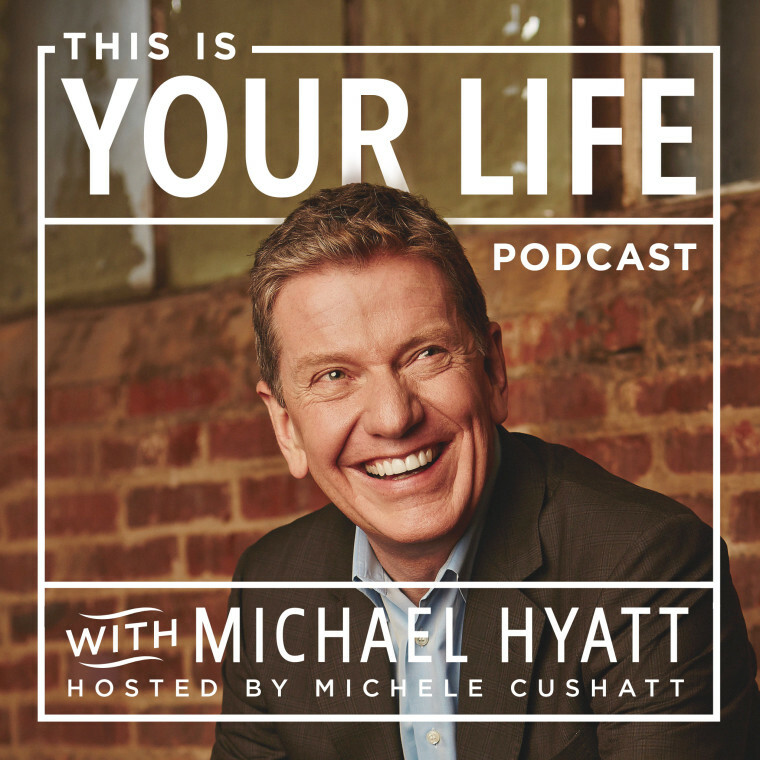 Today’s podcast recommendation is one I just finished listening to– Michael Hyatt. Michael has been around online for a long time. 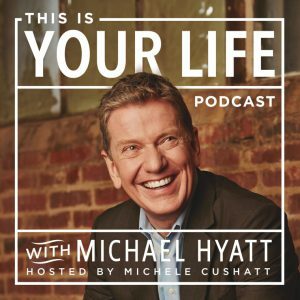 His podcast is called This Is Your Life. He’s one of the many people I’ve ever seen to have his podcast in season. So, I think the season is running for a year. I’ve never actually figured out what his particular theme is. He does the podcast with a lady named Michele. Michele kind of asks some questions. She works with him. She asks questions and he explains; but Michael is a very effective marketer. 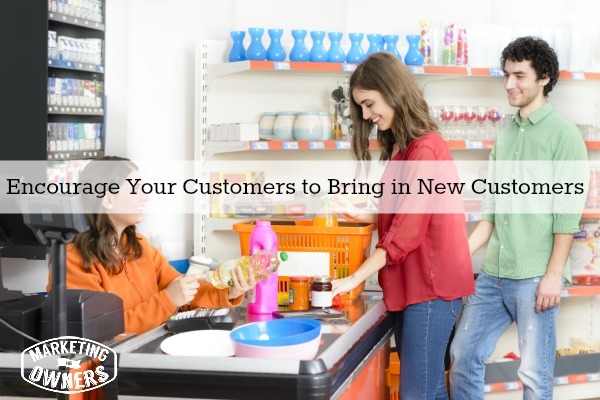 What can you give to your current customers to get them to bring in more customers?